This CNY, you can savour the delights of the festivity, enjoy grand decorations, heart-thumping sensational performances and bountiful rewards starting from 31st December 2016 to 12th February 2017 at Avenue K Shopping Mall. 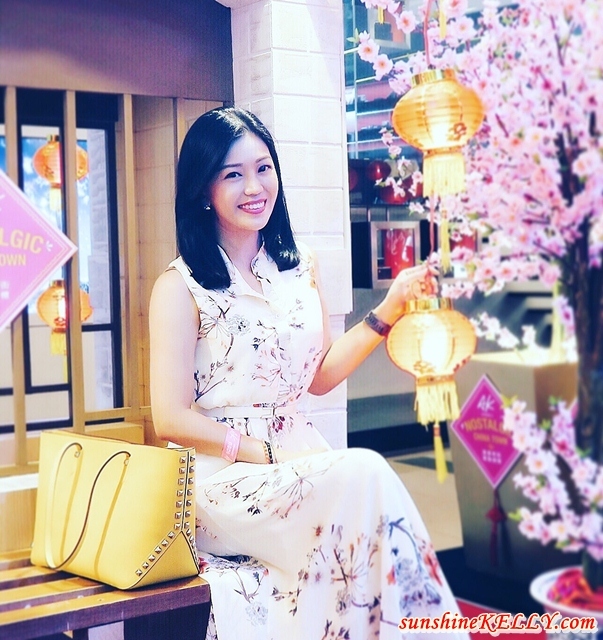 Aptly themed the “AK Nostalgic Chinatown” with a feast of nostalgic experiences and sweet decorations in a quaint setting reminiscent of the city’s yesteryear back in 1970’s. Avenue K Shopping Mall Ground Floor Atrium, main entrances and walkways are not decorated with replicas of old buildings complete with antique adornments and furniture’s reminiscent of the city’s yesteryear back in 1970’s. 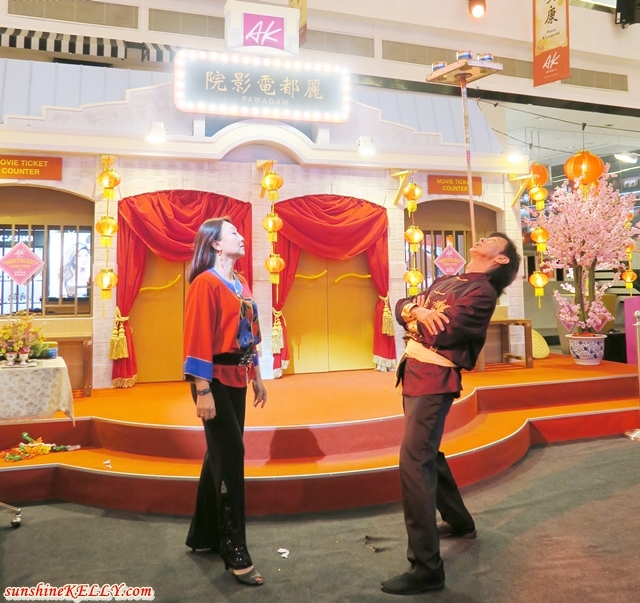 Auspicious red coloured cloth hanging from lattices, blossoming peonies, cherry blossoms and other floral decorations can be seen to further inculcate the traditional Chinese New Year spirit in shoppers. 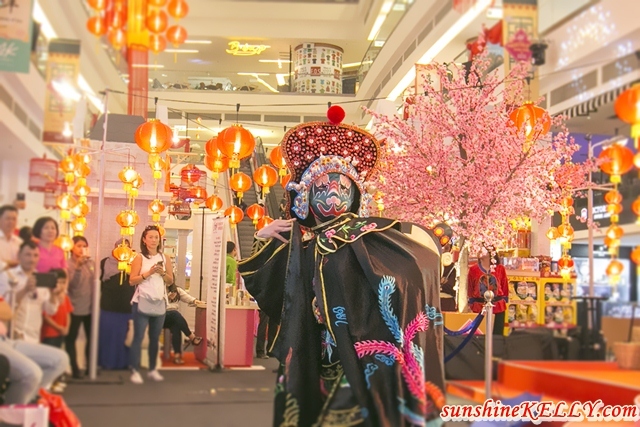 Amidst this, there will also be festive goodies being traded at the mock Chinese shops along the pedestrian streets to mimic the good olden days. Shoppers get to usher in Chinese New Year with an abundant of joy and colours with festive clothings and groceries, delicacies, beauty shops and many more at the streets. 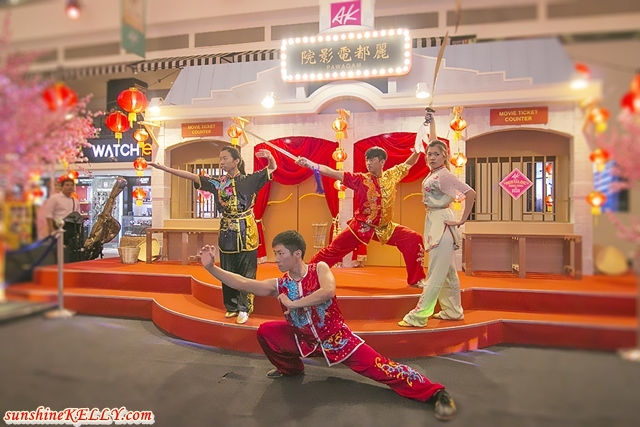 Avenue K has also invited 8 lion dance troupes to perform on the second and last day of Chinese New Year which will delight shoppers and tourists alike with the essence of Chinese New Year in Malaysia. Other must-see cultural performances lined up are the 8 Festival Drums, Shaolin Wushu, Chinese Orchestra, Chinese Traditional Mask Changing Show, Chinese Acrobatic Show and the unforgettable famous Shanghai Jazz vocalists – Janet Lee and Yi Run who will be performing every weekend. Such a festive event! I would love to visit this place with the whole family. Thanks for sharing! I love your Cheong Sam. Looks stylish on you. I like the performances. Will go shopping there soon. Your dress really matches the setting! It does give off a nostalgic feel. Love the chinatown in avenue K.. Looks great.. Happy CNY!